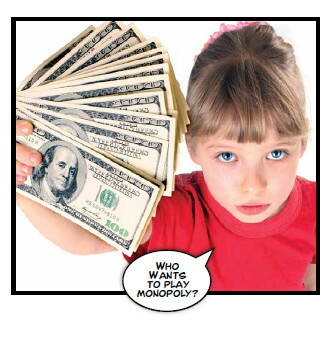 Eleven-year-olds are taught how to make a fortune. 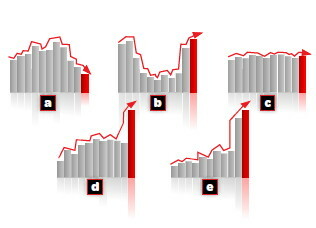 Match the sentences (1 to 5) to the graphs (a-e). 1. The shares went up steadily. 2. The shares shot up. 3. The share price sunk to its lowest point. 4. Share prices remained steady. 5. The shares dropped then bounced back.